Deaths caused by medical errors have gone up substantially and Nurses should take notice. A new study by Johns Hopkins Medicine suggests medical errors are now the third Leading cause of death in the United States, after heart disease and cancer. These statistics have increased dramatically from previous surveys, suggesting that a general systematic failure on the part our healthcare system is adversely affecting patients. If you are a Nurse, you will probably play a vital role in tackling this problem, but maybe not in the way that you may think. In 1999, the Institute of Medicine reported an estimated 98,000 deaths related to medical errors, making it the sixth leading cause of death in the United States at the time. A later study by the same organization in 2010 increased those statistics substantially to 180,000. The latest study in 2016 released by Johns Hopkins Medicine shows those statistics increasing even further to over 250,000. The Institute of Medicine and Johns Hopkins Medicine point out that the majority of medical errors do not result from recklessness of an individual or group. The errors are typically caused by faulty systems, processes, and conditions that allow for mistakes by medical staff members. The big question is: Why are medical errors increasing so much? Researchers argue a few different possibilities. Some claim that the statistics are flawed since medical billing is used to track deaths related to medical errors. Other experts say that the increase is the result of systemic problems that may include poorly coordinated care, health insurance complications, lack of safety protocols, and lack of accountability. In 2014, the nine most common medical errors in the United States were adverse drug events, catheter-associated urinary tract infection (CAUTI), central line-associated bloodstream infection (CLABSI), injury from falls and immobility, obstetrical adverse events, pressure ulcers, surgical site infections (SSI), venous thrombosis (blood clots), and ventilator-associated pneumonia (VAP). Some argue that several of these errors can be prevented just by staffing facilities properly, ensuring that each Nurse isn’t overwhelmed with too many patients, and ensuring that Nurses are properly trained. While many facilities complain about a nursing shortage, it has become well known amongst experienced medical professionals that facilities would rather employ entry level Nurses to decrease operating costs. Their unwillingness to pay more experienced Nurses, and failure to ensure that safety precautions are in place can lead to the assumption that the facilities play a major role in this increased mortality rate. A study released in November of 2016 by Risk Management Monthly dove deeper into the issue. It discussed major findings in The Emergency Medicine Closed Claims Study from The Doctors Company, which analyzed 332 closed claims in emergency medicine in 2007-2013. It identified several main areas that are contributing to medical errors. Diagnosis failures and delays constituted the majority of cases. Failure to order appropriate tests, address abnormal results, and non-adherence to treatment plans also contribute to the problem. Medical errors also commonly result with communication issues among providers. The sources for medical errors will have to be addressed by administrators and all medical staff members. Nurses will be very involved with this process since new processes and safety checks may be implemented. However, many Nurses may also find that they are limited in what they can do to help. In many of the situations where the healthcare system fails, it is up to facility administrations to implement changes that can solve the problems. That limitation often forces Nurses into situations where the work environment is unfavorable or dangerous. There is another way for Nurses to actively address this problem, but it may not be in a way that most may consider. There is a way for Nurses to help hold facilities accountable for their downfalls and failures. They can use their medical expertise to help provide better legal representation to those seeking reparation for a wrongful death. The medical expertise of a Nurse has been found to be very valuable in the legal field, and can still make a great impact on the lives of those who have been severely and negatively impacted by medical errors. 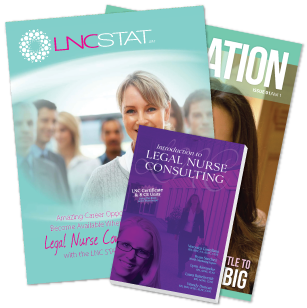 This field of practice is called Legal Nurse Consulting. Nurses can expand their career into an area that will continue to make a difference in people’s lives, and allow them to earn supplemental or full-time income. Nurses continue to be the backbone of healthcare, and they can continue to play a major role even if they are no longer working the bedside. The statistics show that this problem has been growing steadily over almost two decades, and obviously more needs to be done about it. Unfortunately, for many facilities to take action on the problem, their bottom line has to be affected, and legal action against those facilities has the power to do that. More research and protocols are necessary for solving this problem. Administrations must be willing to improve and implement change. Until then, actions must be taken to force them to do so, and Nurses are the key to making that change happen.